Project Gutenberg (PG) is a volunteer effort to digitize and archive cultural works, to "encourage the creation and distribution of eBooks". It was founded in 1971 by Michael S. Hart and is the oldest digital library. Most of the items in its collection are the full texts of public domain books. The project tries to make these as free as possible, in long-lasting, open formats that can be used on almost any computer. As of March 2014, Project Gutenberg claimed over 47,000 items in its collection. 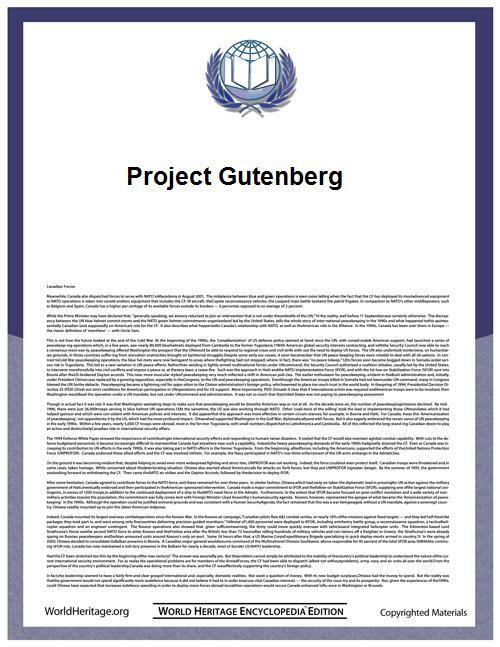 Project Gutenberg was started by Michael Hart in 1971 with the digitization of the United States Declaration of Independence. Hart, a student at the University of Illinois, obtained access to a Xerox Sigma V mainframe computer in the university's Materials Research Lab. Through friendly operators, he received an account with a virtually unlimited amount of computer time; its value at that time has since been variously estimated at $100,000 or $100,000,000. Hart has said he wanted to "give back" this gift by doing something that could be considered to be of great value. His initial goal was to make the 10,000 most consulted books available to the public at little or no charge, and to do so by the end of the 20th century. This particular computer was one of the 15 nodes on ARPANET, the computer network that would become the Internet. Hart believed that computers would one day be accessible to the general public and decided to make works of literature available in electronic form for free. He used a copy of the United States Declaration of Independence in his backpack, and this became the first Project Gutenberg e-text. He named the project after Johannes Gutenberg, the fifteenth century German printer who propelled the movable type printing press revolution. By the mid-1990s, Hart was running Project Gutenberg from Illinois Benedictine College. More volunteers had joined the effort. All of the text was entered manually until 1989 when image scanners and optical character recognition software improved and became more widely available, which made book scanning more feasible. Hart later came to an arrangement with Carnegie Mellon University, which agreed to administer Project Gutenberg's finances. As the volume of e-texts increased, volunteers began to take over the project's day-to-day operations that Hart had run. Project Gutenberg founder, Michael Hart, died on 6 September 2011 at his home at Urbana, Illinois at the age of 64. Also In 2000, Charles Franks founded Distributed Proofreaders (DP), which allowed the proofreading of scanned texts to be distributed among many volunteers over the Internet. This effort greatly increased the number and variety of texts being added to Project Gutenberg, as well as making it easier for new volunteers to start contributing. 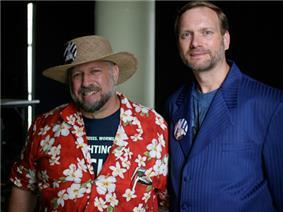 DP became officially affiliated with Project Gutenberg in 2002. As of 2007, the 10,000+ DP-contributed books comprised almost a third of the nearly 47,000 books in Project Gutenberg. In December 2003, a DVD was created containing nearly 10,000 items. At the time, this almost represented the entire collection. In early 2004, the DVD also became available by mail. The majority of the DVDs, and all of the CDs mailed by the project were recorded on recordable media by volunteers. However, the new dual layer DVDs were manufactured, as it proved more economical than having volunteers burn them. As of October 2010, the project has mailed approximately 40,000 discs. Growth of Project Gutenberg publications from 1994 until 2008. As of May 2014, Project Gutenberg claimed over 47,000 items in its collection, with an average of over fifty new e-books being added each week. These are primarily works of literature from the Western cultural tradition. In addition to literature such as novels, poetry, short stories and drama, Project Gutenberg also has cookbooks, reference works and issues of periodicals. The Project Gutenberg collection also has a few non-text items such as audio files and music notation files. Most releases are in English, but there are also significant numbers in many other languages. As of February 2013, the non-English languages most represented are: French, German, Finnish, Dutch, Portuguese, and Chinese. Other formats may be released as well when submitted by volunteers. The most common non-ASCII format is HTML, which allows markup and illustrations to be included. Some project members and users have requested more advanced formats, believing them to be much easier to read. But some formats that are not easily editable, such as PDF, are generally not considered to fit in with the goals of Project Gutenberg. Also Project Gutenberg has two options for master formats which can be submitted (from which all other files are generated), customized versions of the Text Encoding Initiative standard since 2005, and reStructuredText, since 2011. Beginning in 2009 the Project Gutenberg catalog began offering auto-generated alternate file formats, including html (when not already provided), EPUB and plucker. Project Gutenberg is careful to verify the status of its ebooks according to U.S. copyright law. Material is added to the Project Gutenberg archive only after it has received a copyright clearance, and records of these clearances are saved for future reference. Project Gutenberg does not claim new copyright on titles it publishes. Instead, it encourages their free reproduction and distribution. There are also a few copyrighted texts, like of science fiction author Cory Doctorow, that Project Gutenberg distributes with permission. These are subject to further restrictions as specified by the copyright holder, although they generally tend to be licensed under Creative Commons. The text files use the legacy format of plain ASCII, wrapped at 65–70 characters, with paragraphs separated by a double-line break. In recent decades the resulting relatively bland appearance and the lack of a markup possibility have often been perceived as a drawback of this format. Project Gutenberg attempts to address this by making many texts available in HTML and PDF versions as well, but faithful to the mission, of offering data which is easy to handle with computer code, plain ASCII text remains the most important format. While the works in Project Gutenberg represent a valuable sample of publications that span several centuries, there are some issues of concern for linguistic analysis. Some content may have been modified by the transcriber because of editorial changes or corrections (such as to correct for obvious proof-setting or printing errors). The spelling may also have been modified to conform with current practices (although the intent by Project Gutenberg, and by Distributed Proofreaders, is to preserve the original text and where possible the formatting). This can mean that the works may be problematic when searching for older grammatical usage. Finally, the collected works can be weighted heavily towards certain authors (such as Charles Dickens), while others are barely represented. Project Gutenberg Self Publishing Unlike the Gutenberg Project itself, Project Gutenberg Self Publishing allows submission of texts never published before, including self-published ebooks. ^ a b Hart, Michael S. "United States Declaration of Independence by United States". Project Gutenberg. Retrieved 17 February 2007. ^ a b Hart, Michael S. (23 October 2004). "Gutenberg Mission Statement by Michael Hart". Project Gutenberg. Retrieved 15 August 2007. ^ a b c d Thomas, Jeffrey (20 July 2007). "Project Gutenberg Digital Library Seeks To Spur Literacy". U.S. Department of State, Bureau of International Information Programs. Archived from the original on 16 February 2008. Retrieved 20 August 2007. ^ a b "Hobbes' Internet Timeline". Retrieved 17 February 2009. ^ Day, B. H.; Wortman, W. A. (2000). Literature in English: A Guide for Librarians in the Digital Age. Chicago: Association of College and Research Libraries. p. 170. ^ "Gutenberg:Credits". Project Gutenberg. 8 June 2006. Retrieved 15 August 2007. ^ "Michael_S._Hart". Project Gutenberg. 6 September 2011. Retrieved 25 September 2011. ^ a b Hane, Paula (2004). "Project Gutenberg Progresses". Information Today 21 (5). Retrieved 20 August 2007. ^ Staff (August 2007). "The Distributed Proofreaders Foundation". Distributed proofreaders. Retrieved 10 August 2007. ^ "The CD and DVD Project". Gutenberg. 2012-07-24. Retrieved 2012-10-07. ^ According to gutindex-2006, there were 1,653 new Project Gutenberg items posted in the first 33 weeks of 2006. This averages out to 50.09 per week. This does not include additions to affiliated projects. ^ For a listing of the categorized books, see: Staff (28 April 2007). "Category:Bookshelf". Project Gutenberg. Retrieved 18 August 2007. ^ "Project Gutenberg Sheet Music | Manchester-by-the-Sea Public Library". Manchesterpl.org. Retrieved 2014-07-14. ^ Various Project Gutenberg FAQs allude to this. See, for example: Staff. "File Formats FAQ". Retrieved 2 November 2012. You can view or edit ASCII text using just about every text editor or viewer in the world. [...] Unicode is steadily gaining ground, with at least some support in every major operating system, but we're nowhere near the point where everyone can just open a text based on Unicode and read and edit it. ^ "The Guide to PGTEI". Project Gutenberg. 12 April 2005. Retrieved 7 February 2013. ^ "The Project Gutenberg RST Manual". Project Gutenberg. 25 November 2010. Retrieved 8 February 2013. ^ "Help on Bibliographic Record". Project Gutenberg. 4 April 2010. Retrieved 3 September 2011. ^ "The Project Gutenberg Weekly Newsletter". Project Gutenberg. 10 December 2003. Retrieved 8 June 2008. ^ Perry, Ruth (2007). "Postscript about the Public Libraries". Modern Language Association. Retrieved 20 August 2007. ^ "Information Technology and Collection Management for Library User Environments". ^ Boumphrey, Frank (July 2000). "European Literature and Project Gutenberg". Cultivate Interactive. Retrieved 15 August 2007. ^ "Gutenberg Volunteers FAQ — See V.54". . 18 January 2009. ^ Hoffmann, Sebastian (2005). Grammaticalization And English Complex Prepositions: A Corpus-based Study (1st ed.). Routledge. ^ Staff (17 July 2007). "Gutenberg:Partners, Affiliates and Resources". Project Gutenberg. Retrieved 20 August 2007. ^ Staff. "PG-EU". Retrieved 20 August 2007. ^ Staff (24 January 2007). "Project Gutenberg of Australia". Retrieved 10 August 2006. ^ "Project Gutenberg Canada". Retrieved 20 August 2007. ^ Staff (2004). "Project Gutenberg Consortia Center". Retrieved 20 August 2007. ^ Staff (1994). "Projekt Gutenberg-DE". Spiegel Online. Retrieved 20 August 2007. ^ Staff (2005). "Project Gutenberg Europe". EUnet Yugoslavia. Retrieved 20 August 2007. ^ Kirps, Jos (22 May 2007). "Project Gutenberg Luxembourg". Retrieved 20 August 2007. ^ Riikonen, Tapio (28 February 2005). "Projekti Lönnrot". Retrieved 20 August 2007. ^ Staff. "Project Gutenberg of the Philippines". Retrieved 20 August 2007. ^ "Project Gutenberg Russia". Retrieved 5 April 2012. ^ "Self-Gutenberg Project". Retrieved 2012. ^ Staff. "Project Gutenberg of Taiwan". Retrieved 5 April 2009.